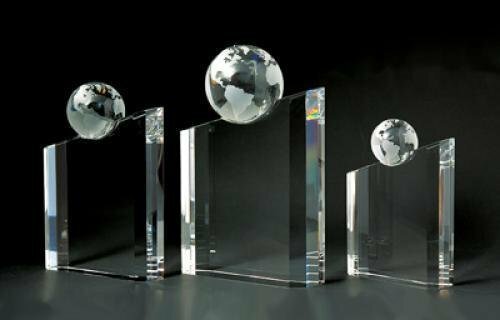 The Crystal Globe Award is made from pure optic crystal and comes in 3 sizes with the tallest being 9.25". All come with a blue velvet box and engraving is included in the price. The crystal globe isn't attached but is free spinning!